They are buying houses and farms in order to exploit opportunities for profit, including removal of food from Australia. We have empty houses throughout the suburbs of capital cities that may have been purchased to diversify some foreigner's asset portfolio. Australia’s politicians, supported by the ABC, provide the Australian people with no reasonable option by way of public policy debate. The ABC just reports what is happening instead of challenging the logic. It’s all about the wealthiest lobbying for “growth”. 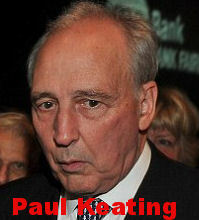 People like Paul Keating were praised for “deregulating” the Australian economy in the early 90s and cutting down tariff barriers. The Liberals fully supported these theories. In 2000, with the Australian Dollar at around 50 US cents, the import duty on foreign cars was around 5%. 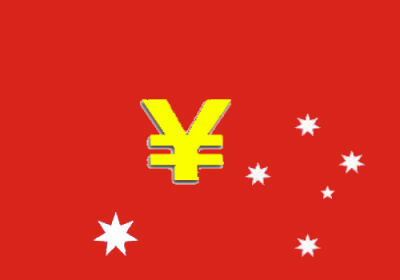 By 2008 the Australian dollar had risen to around 95 US cents. Similar rises had also occurred against all major currencies. In order to maintain the competitiveness of the Australian car industry at a level comparable to year 2000, the tariff would have needed to rise to 78%, because US Dollar priced cars had become so much more competitive. So what is driving extreme population growth? It’s really quite simple. Politicians are addicted to dumb GDP growth and fail to perform the due diligence analysis of the facts that might lead to a better understanding of the extreme population growth problem in Australia. The ABC fully supports this failure by claiming the issue is “not newsworthy”. Big business loves it because it drives short term profits. No other criterion is substantially or actively used to drive the decision-making of big business. If the Government can neither evaluate nor comprehend what is in the national interest; what hope is there for Australia's future? A Free Market economy might by great for untying economies and trade from the strings of national control, but economies can succeed and boom at our detriment! Economies are meant to be tools, to serve us, not to flourish as our expense and to the detriment of our living standards and our sovereignty. First home owners are largely locked out of home ownership, and if we reduce our massive immigration rates, governments fear the housing bubble could deflate. So, with first home owners out of the picture, Chinese and other foreign investors are being allowed to swoop and buy up! It's great to get foreign capital, and maximum windfall prices from property sales, but it sets a precedent of high prices, and short term cash flows at the expense of our nation's integrity. Foreign buyers are encouraged to build up our property stock, and add to the real estate Ponzi scheme - on the back of the Immigration Ponzi scheme. Similarly for GDP growth, which could also be a result of disasters. Population growth is being used to artificially prop up our GDP, hiding a weak economy. We assume that politicians have our interests, and that of our nation, at heart, but they're really captured by corporations and the interests of multinational powers who demand profits and "growth"! This, to me is doing the dirty on your neighbours. One the houses involved once belonged to an acquaintance. The new owner (who bought it from my acquaintance) has now sold the house for about $200,000 more than he purchased it for. It was a very attractive house, but the most recent seller had renovated it – but it is to be demolished! I really don’t get it. I guess the vendors buy one of the 26? units each to be built on the 3 blocks and then they have some spare change out of this. They may be surprised at how little they actually get out of it. Let’s say they buy a unit for $700,000 so they have $300,000 change and then they have to pay stamp duty. Maybe they’d get an overseas trip or 2 out of it and they end up with very little space in the area where they used to have plenty. Is this a good deal? I doubt it.